In its short lifetime, Apple Music has had both praise and criticism heaped on its shoulders — you can read our own take on the streaming music service for more details — but it seems everyone agrees that iTunes is an unwieldy and bloated software package that should be retired gracefully. Now a graphic artist has imagined what Apple’s new music service would look like without the old app. Designer and developer Andrew Ambrosino wanted to cut down on the clutter and has produced a series of concept images showing what a standalone Apple Music might look like. The desktop software he envisions is much more streamlined and easy on the eyes, but everything fits in seamlessly with the aesthetics of OS X Yosemite and El Capitan. He’s even added a new miniplayer for good measure. And it’s hard not to be impressed by what Ambrosino has put together — a dedicated music app for the desktop that looks like it would be a pleasure to use. What you do think of the design? 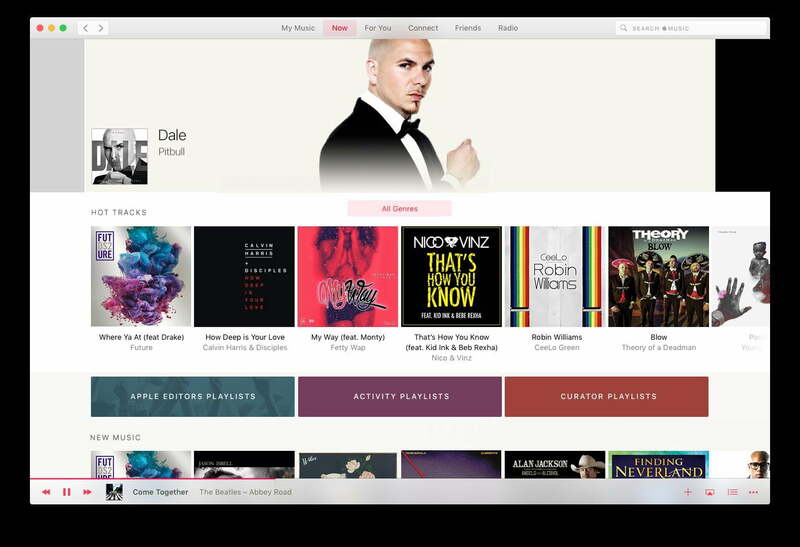 And what’s been your experience of the Apple Music experience so far? Feel free to weigh in in the comments.